Kneeling in the front row, left to right, are Max Kelly, Rex Dyer, Will Bond, Lauch Farris, Will Campbell, Thomas Kretschmer, Henry Wedbush, (back row) Marcos Miranda, Asst. Coach, Dave Arone, Asst. Coach, Quinn Robinson, Jake Maffett, Gabriel Miranda, Inaki Bustamante, Cole Welch, Eric Yeich and Cameron Green, Head Coach/Director. 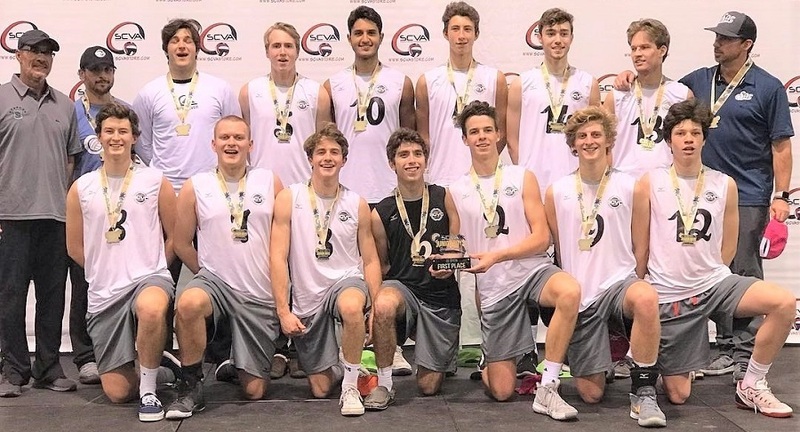 The SCVC 18Quiksilver and 17Quiksilver boys volleyball teams from Redondo Beach won the Championships at the SCVA Boys Invitational, a National Qualifier tournament held in Anaheim January 11-13. Teams from Southern California, New York, Chicago, Florida, St. Louis, Texas, Arizona and Canada competed for the title. 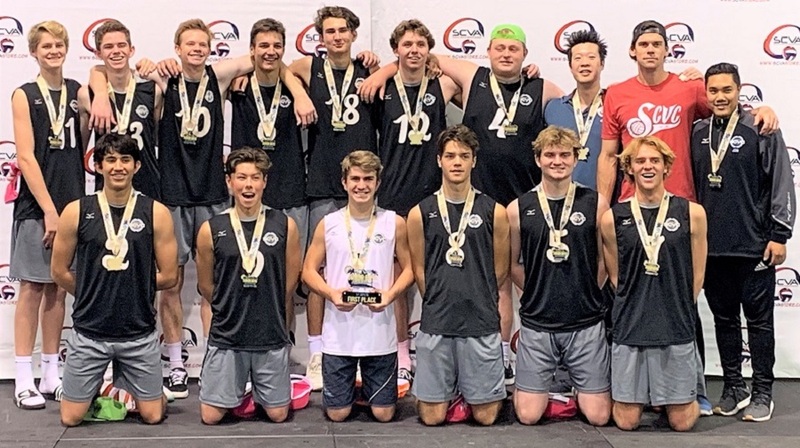 The winning teams will vie for the USA Volleyball National Championships in Dallas, Texas from June 30 to July 7. Front row, left to right, are Matt Montag, Luke Takashima, Logan Sharp, Mark Moralda, Nate Toomey, Luke Snyder, (back row) Cooper Robinson, Jason Ashenfelter, Rees Barnett, Luke Turner, Christian Thomas, Clarke Godbold, Shane Stroyke, John Xie, Asst. Coach, Tyler Hildebrand, Head Coach and Jon Basilio, Asst. Coach.